Remodeling your kitchen is a great way to make your dwelling more comfortable, stylish and energy-efficient. At Concord Home Remodeling, we can show you some great design ideas to help you see all the possibilities you can achieve with this essential room. 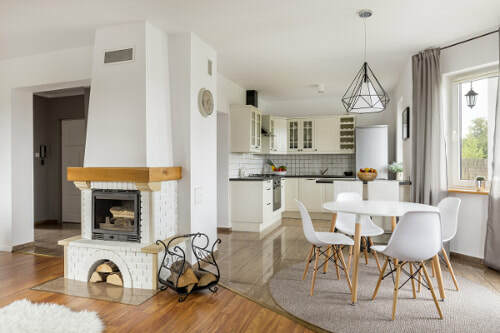 We will show you before and after photos, so you can see how the right layout and some simple changes can help transform your kitchen into a stunning and inviting room where everyone will enjoy gathering. We can make kitchens inspirational and exciting to use, whether you're cooking a simple meal or preparing for a large dinner party. ​Our highly trained remodeling contractors have the technicians, tools, and experience to do any type of renovation you need without going over your budget. We can create an open concept look, install a kitchen island, upgrade your flooring, plumbing, and electrical fixtures, all at a surprisingly low cost. Small changes can add a large impact on the overall appearance of an existing kitchen and cost a lot less. Some of these changes may include, adding extra storage to the pantry, installing energy-efficient appliances and custom lighting. We can make your dreams come true no matter the size of the project. Simply tell us the design style and budget so we will make your dream a reality. Our home improvement team can also present to you some great ideas. We can eliminate an outdated kitchen and replace it with a classy modern kitchenette that reflects your unique style. 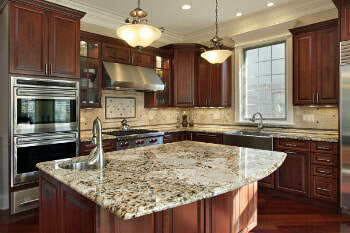 We are also able to install new marble, granite, travertine or quartz countertops. 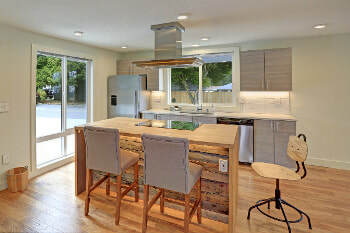 Our crew can construct a new kitchen island or update an existing island with easy-to-use contemporary hardware. The room will look great and add thousands of dollars to your house value. We create luxurious kitchens that are warm, welcoming, spacious, and have all the latest conveniences. Our work combines art and science to create the ideal kitchens for the professional chef or the homemaker that enjoys entertaining. We can install slate, tile, natural stone, hardwood or bamboo floors. You can choose from textured or glazed, light or dark finishes for your cabinets. Sometimes just changing the cabinet panels can make a dramatic impact on your kitchen. Select from a variety of materials for your cabinetry. Some materials you might consider are wood, laminate, themofoil, melamine, glass, stainless steel, or any solid material you desire. Wood often presents a more natural feel that accompanies a traditional and rustic look, while manmade materials come in various colors and present a more modern feel. Many designers today are mixing their cabinet materials and finishes in their kitchen designs. Our focus is on customer service and we can use any colors, styles, and finishes you desire during the remodel or renovation process. With our quality workmanship and creativity, we can create a timeless space filled with charm and character. One where you and your loved ones will enjoy cooking and eating amazing dishes. Another possibility is to simply reconfigure the layout and keep the room's infrastructure. We can refinish or install new surfaces, and change the outward appearance of any appliance, sink or stove by altering their color. This fast, affordable option saves homeowners time and money using our quick and precise refacing methods. We are highly versed in our skillset and have improved the look, feel and function of kitchens for countless clients. No matter your choice of kitchen style, traditional, shaker, contemporary, cottage, vintage, minimalist, modern or any other, we have the staff, equipment, vision, and expertise to create it for you. 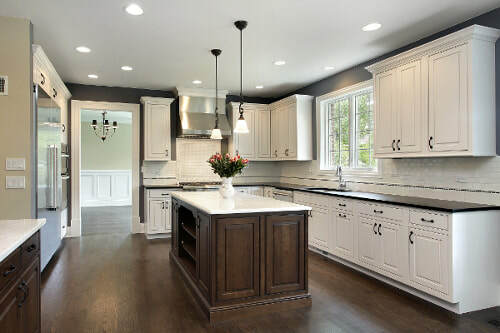 Whether you want simple upgrades like refacing or refinishing cabinets, additional counter space, a new backsplash, replacing lighting fixtures or a complete remodel, we're the only company you need. We can make kitchens look brand new and multifunctional for an affordable price. Let us make you happy to be home again! Contact Concord Home Remodeling to schedule an on-site consultation and free estimate. Our general contractors can help you decide if a facelift or a complete remodel is what your kitchen needs.